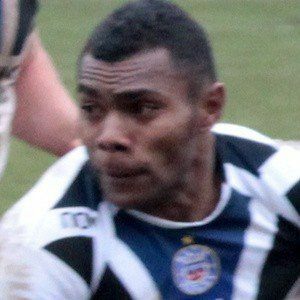 Fijian-born British Army soldier who's represented English in international rugby. He's also played for the Army rugby team and professionally for Bath. He enlisted in the army in 2007 and played for Lytchett Minster during his first year in the service. His appearance on the international team in 2014 made him the first active military member to play for England in a decade and a half. He grew up in a military family, as his father, great-grandfather, and great-great-grandfather all served. Tim Rodber, in 1999, was the last active soldier to play international rugby for England before Rokoduguni.